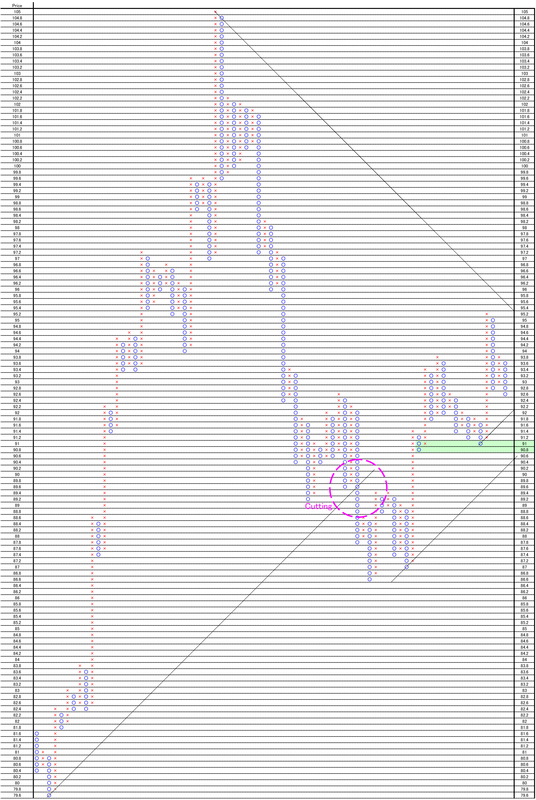 AUDJPY Daily; we are bearish or neutral. We use NY close price. 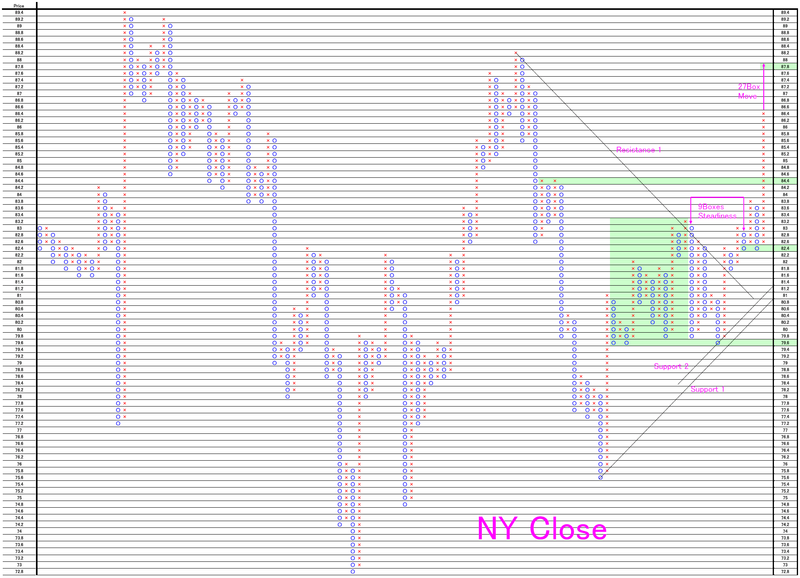 This is 0.2 price change and 3 box reversal close price’s Point and Figure chart. 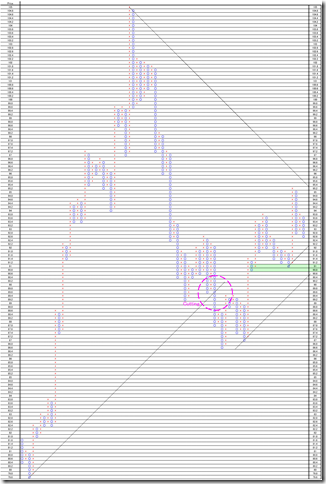 The market price has already cut 45 degree support line and we are bearish. And we do not recommend a long-term long position. We think this market will re-fall and jump. 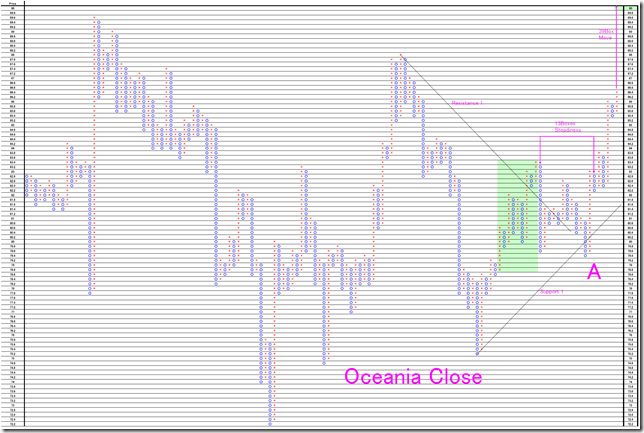 AUDJPY; if the market price will go over 88yen, the market price will go up to 90 yen around. 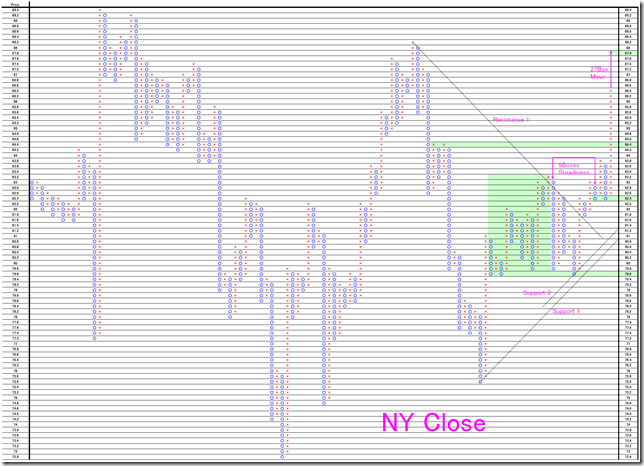 In this time, we renew the way of analyzing; comparing NY close and Oceania close data. These are more proper way. We can see these are bullish. The common point is cutting 45 degree resistance was first. The target price is 87.8yen calculated by NY close data. 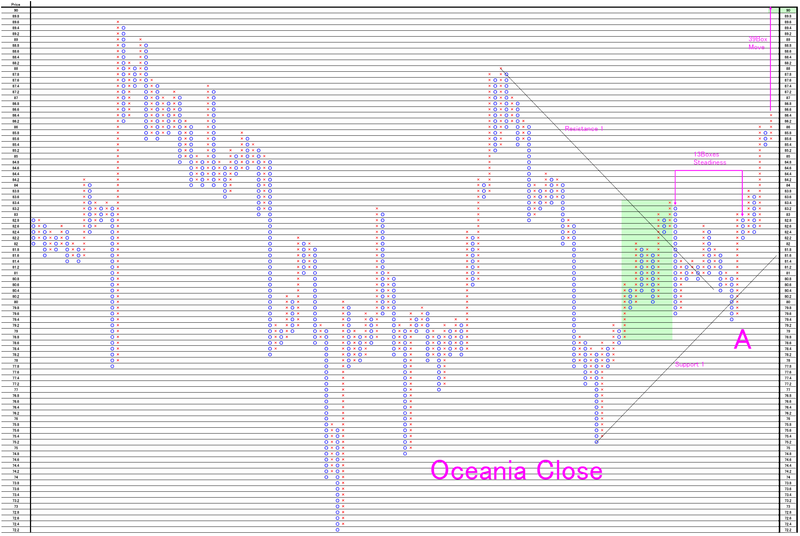 The target price is 90.0yen calculated by Oceania close data. In these 2 charts, the resistance point exists 88.0yen around and this may become double top. If the market price will go over 88.0 yen, the market price will reach 90.0 yen around.